To get the longest possible life from your car or truck transmission you must adhere to a maintenance schedule as prescribed by your manufacturer and make sure these guidelines are met in a timely manner. A good transmission maintenance schedule can add thousands of miles to the life of your transmission without the need for repairing the transmission prematurely. It is common procedure to change your transmission fluid every year or at least every 15,000 miles. When you have the fluids changed at our Fort Lauderdale repair shop we will also replace your filter and pan gasket. We always use the best products available on the market to assure your vehicle runs at peak performance. It's wise to keep an eye on your transmission fluid levels especially when the car is older and you are going on long trips. The gears get very hot so check it before and after your trip. 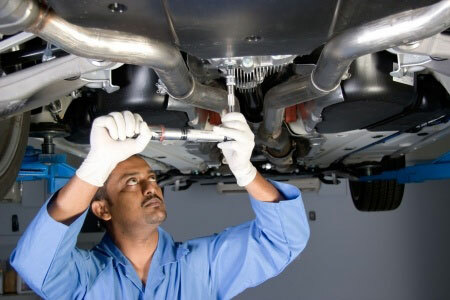 Like your body, you car's parts are all indirectly affected, so if one system fails it can affect other parts. So make sure your engine is properly tuned to help your transmission function well and last long. These are a few tips on how to keep your transmission trouble free for as long as it was designed to last.